It’s not how long you live, it’s what you do with the time you are here! If you want or expect positive experiences and blessings to occur you must make room for them to manifest and exist in your life. Pursue them with everything you’ve got and rest only when you are satisfied! Do you really want what you desire? Or do you believe that it should come to you? These are the defining questions that determine the ultimate direction of your life and your desired goals. 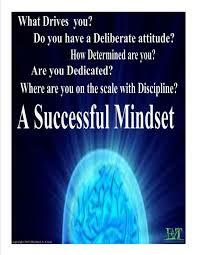 Positively speaking; if you really want what you desire you will go after it without any thought other than success. You must believe in yourself and your goal wholeheartedly and when your belief is this strong there is no room for anything other than success. Everything I have put my heart, mind and soul into has been successful and not for any other reason than that I left no room for any other result. Your belief can actually produce the result and if this sounds crazy to you then put it to the test, I dare you! Keep in mind that the belief must be felt within every fibre of your being, you cannot half-heartedly pretend to believe in something and in the back of your mind not believe it as that is counter-productive and the reason it WILL fail. Negatively speaking; if you believe what you desire should come to you then you are already in the wrong frame of mind and the one that will not manifest anything other than an increase in that negative thinking. 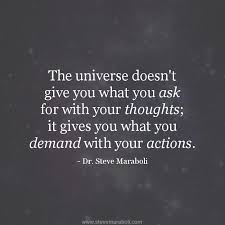 Intention and attitude are everything when it comes to manifesting your goals and dreams. Appreciation and gratitude for all that you have been blessed with so far is the only way to change a negative frame of mind. If you think or believe that you’ve just not been given the opportunities you deserve I hope that you already see and realize that you are blocking yourself. There is an abundance of opportunities but when you don’t have appreciation for the little things you end up building a wall around you that prevents you from ever seeing the bigger things you have access to. The same statement as above applies here as well except in opposite effect. If you are unable to connect or tap into the abundance that the Universe has to offer it is because you believe within every fibre of your being that it should come to you. Good Luck with that! Yes there are times when what we work toward doesn’t go as we may have envisioned but in my experiences I’ve discovered that it has always led me to something better. Even though a vision changes or is changed for another reason I still view it as success because it takes me in a direction that I never considered and it’s always a better fit for me. I believe that what we envision and the directions we seek to go in are ultimately and divinely guided by the Universe and I have no reason to question that. I know the Universe is a force of all things positive and there is no better reinforcement than that. Everything I have been taught from the time I can remember through every experience has provided me with the incentive I need to passionately pursue what I desire without pause. If you really want something, you go for it, bottom line! Words are great, they can be inspiring and motivating, but actions are what prove the words true!